of honey used as contraception and talking spirits in Anthony’s quest narrative. My understanding of the trail in the popular imagination draws heavily from the personal archives of Professors Milanich and Weisman, who graciously opened their files. Over the past decade I have been collecting lesson plans, cartoons and advertisements, coloring books, advertisements and public history programs. Each year the De Soto National Memorial, a National Park in Bradenton, reenacts the landing. Milanich has been particularly generous in sharing his collection of De Soto kitsch, including samples of a subgenre I never knew existed — Archaeologist Hate Mail, or letters from the amateur historians who challenge the scholarly reports. The Milanich-Weisman files includes correspondence about the trail’s academic reconstruction, periodical accounts, photos and internal memos about bringing scholarly findings to the public. Their efforts culminated with the Florida Division of Parks and Recreation official De Soto Trail, which included a pamphlet, signage and interpretative kiosks. Plans to connect the trail across states, providing a southeastern equivalent of the Lewis and Clark trail, failed. The De Soto Trail has since been been dismantled, although a downloadable map for a revised trail is now available. In a world apart from route-obsessed scholarships, Latin Americanists have mined the discourse of conquest as literary subject. Latino and Spanish critics especially have focused on El Inca Garcilaso, which route scholars dismiss as the “least reliable” of the four accounts. (My chapter in the Road Course dwells much longer on the author than the shorter blog post.) For English readers, El Inca Garcilaso is available in the second volume of The De Soto Chronicles, although the sadly out-of-print translation by John Grier Varner and Jeannette Johnson Varner, The Florida of the Inca (1980) is more fluid. Emma Susana Speratti-Piñero edited the definitive Spanish-language version, and the standard biography in English John Grier Varner’s El Inca: The Life and Times of Garcilaso de la Vega. Raquel Chang-Ródriguez edited collection provides the best single volume introduction, Beyond Books and Borders: Garcilaso de la Vega and La Florida del Inca (2006). John E. Worth included several sections of El Inca Garcilaso in the documentary-narrative history, Discovering Florida: First-Contact Narratives from Spanish Expeditions along the Lower Gulf Coast (2015). 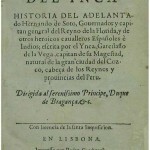 The Biblioteca Virtual Miguel de Cervantes provides a complete bibliography of El Inca Garcilaso. Less concerned with physical settings, the criticism on La Florida del Inca has been well served by post-colonial and deconstructive readings. Bernard Lavalle’s overview, “El Inca Garcilaso de la Vega,” situates the author in hemispheric and transatlantic contexts (1992), highlighting a standard theme of American versus European presence. Rolena Adorno emphasizes intertextuality in “El Inca Garcilaso: Writer of Hernando de Soto, Reader of Cabeza de Vaca” (in Chang-Rodridguez, above), as does Chang-Rodriguez in Violencia y subversión en la prosa colonial hisapanoamericana (1982). José Rabasa’s Writing Violence on the Northern Frontier: The Historiography of Sixteenth-Century New Mexico and Florida and the Legacy of Conquest (2000), one of few literary studies to examine El Inca Garcilaso alongside other primary accounts, emphasizes figures of violence. Jonathan D. Steigman outlines the moral weight and rhetorical couching in La Florida del Inca and the Struggle for Social Equality in Colonial Spanish America (2005). The richest criticism of El Inca Garcilaso often starts with composition history. See, for starters, Aurelio Miró Quesada’s “Creación y Elaboración de La Florida del Inca” (1989). The focus upon the composition has in turn supported deconstructive readings: see, for example, Susan Jákfalvi-Leiva’s influential Traducción, escritura y violencia colonizadora: un estudio de la obra del Garcilaso. Foreign and Comparative Studies (1984); Enrique Pupo-Walker, Historia, Creación y Profecía en los Textos del Inca Garcilaso de la Vega (1982); and Pupo-Walker, “La Florida del Inca Garcilaso: notas sobre la problematización del discurso histórico en los siglos XVI y XVII” (1985). On La Florida del Inca as Renaissance history, see David Henige’s “The Context, Content, and Credibility of La Florida del Inca (1986), and “‘So Unbelievable It Has to be True’: Inca Garcilaso in Two Worlds” (1997). Lee Dowling, finally, reviews the literary context in an attempt to reconcile differences between positivist historians and those cultural critics who are more interested in discursive formations in “La Florida del Inca: Garcilaso’s Literary Sources” (2005). As with the Cabeza de Vaca, discussed above, I have sought to set writing about De Soto and El Inca Garcilaso within a broader scholarly context. Any discussion of Native Americans and Spanish colonial discourse is indebted to Lewis Hanke, The Spanish Struggle for Justice in the Conquest of America (1949). Walter D. Mignolo situates the aims of Renaissance against indigenous history in “El Metatexto Historiografico y la Historiografia Indiana” (1981). Beatriz Bodmer emphasizes the discourse of failure, or how failed expeditions shaped narratives of the northern borderlands in The Armature of Conquest: Spanish Accounts of the Discovery of America, 1492-1589 (1992). On the Spanish expeditions as both military and discursive struggle, see Margarita Zamora’s Language, Authority, and Indigenous History in the Commentarios reales de los Incas (1988). Adorno emphasizes intertextuality between accounts in “Discourses on Colonialism: Bernal Díaz, Las Casas, and the Twentieth Century Reader” (1988). Historian Amy Turner Bushnell discusses the tidal change that led to less recognition for conquistadors by the late fifteenth century in “A Requiem for Lesser Conquerors: Honor and Oblivion on a Maritime Periphery” (2006). Future scholars surely will consider how the various stands of research intersect, and how our own differences in cultural background and academic discipline have left the individual parts of a single history so strikingly unfamiliar. To this point, literary critics and historians have failed to bring together the different readings that come from texts and bones. Adorno, Rolena. “Discourses on Colonialism: Bernal Díaz, Las Casas, and the Twentieth-Century Reader.” Modern Language Notes 103:2 (March 1988): 239-58. __________ . ”The Discursive Encounter of Spain and America: The Authority of eyewitness testimony in the writing of history.” The William & Mary Quarterly 3rd Series 49:2 (1992): 210-28. _________ . “Reconsidering Colonial Discourse from Sixteenth- and Seventh-Century Spanish America.” Latin American Research Review 28:3 (1993): 135-45. Anadón, José. Garcilaso Inca de la Vega: An American Humanist, A Tribute to José Durand. South Bend, IN: U Notre Dame Press, 1998. Anthony, Piers. Tatham Mound. New York: Morrow, 1991. Behrendt, Laura [?]. 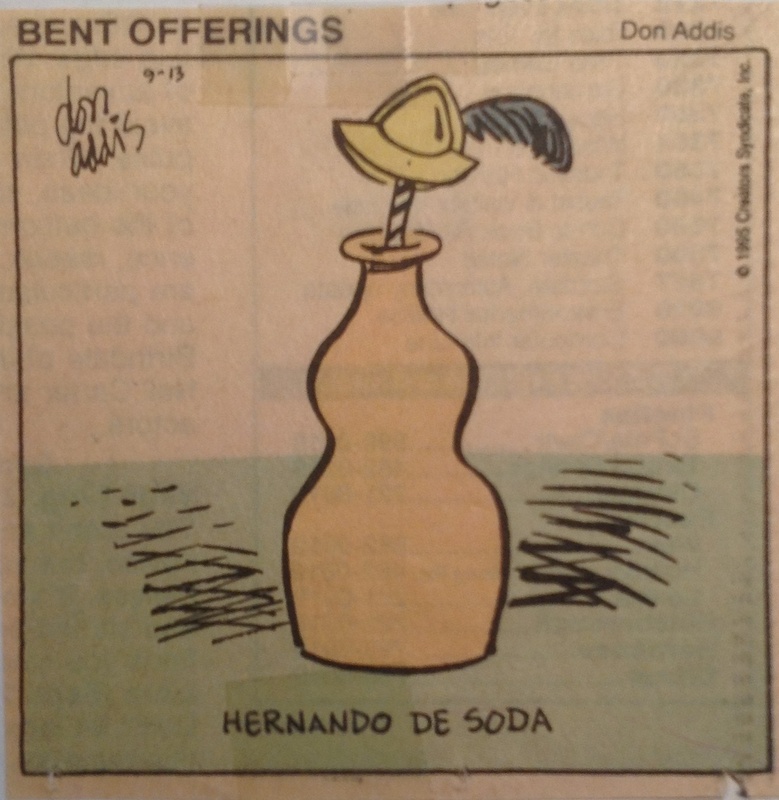 “Graham unveils first de Soto Marker.” Citrus Times (4 May 1985). Bodmer, Elizabeth, Pastor. The Armature of Conquest: Spanish Accounts of the Discovery of America, 1492-1589. Transl. Lydia Longstreth Hunt. Palo Alto: Stanford U P, 1992. Chang-Rodriguez, Raquel (ed). Beyond Books and Borders: Garcilaso de la Vega and La Florida del Inca. Lewisburg: Bucknell U P, 2006. _________ . Violencia y subversión en la prosa colonial hisapanoamericana, siglos xvi y xvii. Madrid: José Porrúa Turanzas, 1982. Duncan, David Ewing. Hernando de Soto: A Savage Quest in the Americas. Norman: U Oklahoma P, 1997. Durand, José. “La redaccíon de La Florida del Inca. Cronología. Revista Histórica 21 (1954): 288-302. Ellis, Gary D, Russell A. Dorsey and Robin Denson. Archaeological Study: Citrus County, Florida. Vol. 1. (June 1993). Garcilaso de la Vega, El Inca. The Florida of the Inca. Transl. John and Jeannette Johnson Varner. Austin: U Texas P, 1980. Hanke, Lewis. The Spanish Struggle for Justice. New York: Little, Brown, 1949. Henige, David. “The Content, Context, and Credibility of La Florida del Ynca.” The Americas 43 (1986): 1-23. Hudson, Charles. Knights of Spain, Warriors of the Sun: Hernando de Soto and the South’s Ancient Chiefdoms. Athens: U Georgia P, 1997. Hutchinson, Dale. L. Tatham Mound and the Bioarchaeology of European Contact: Disease and Depopulation in Central Gulf Coast Florida. Gainesville: U P Florida, 2006. Jákfalvi-Leiva, Susana. Traduccíon, escritura, y violencia colonizadora: Un estudio de la obra del Inca Garcilaso. Syracuse: Maxwell School of Citizenship and Public Affairs, 1984. Laumer, Frank (ed.). Amidst a Storm of Bullets: The Diary of Lt. Henry Prince in Florida, 1836-1842. Tampa: U Tampa P, 1998. Lavalle, Bernard. 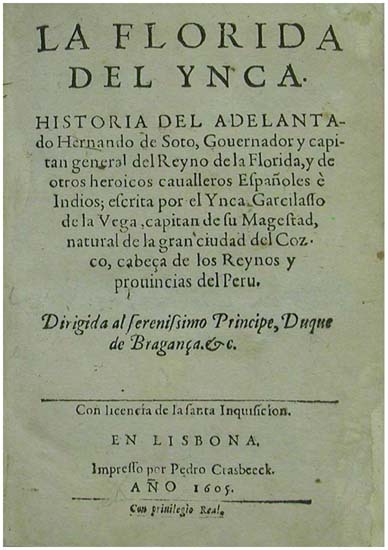 “El Inca Garcilaso de la Vega.” Historia de la Literatura Hispanoamericana. Época Colonial. Madrid: Catedra, 1992. 1:135-43. Milanich, Jerald T. and Charles Hudson. 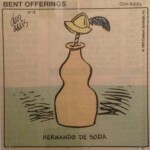 Hernando de Soto and the Indians of Florida. Gainesville: U P of Florida, 1993. Miró Quesada Sosa, Aurelio. “Creacíon y elaboracíon de La Florida del Inca.” Cuadernos Americanos 3:18 (1989): 152-71. __________ . El Inca Garcilaso de la Vega. Lima: Pontificia Universidad Católica del Perú, 1994. __________ . Prologue to La Florida del Inca by Garcilaso de la Vega. Mexico City: Fondo de Cultura Económica, 1956. ix-lxxvi. Mitchem, Jeffrey M. “Initial Spanish-Indian Contact in West Peninsular Florida: The Archeological Evidence. Columbian Consequences. Vol. 2. Archeological and Historical Perspectives on the Spanish Borderlands East. Ed. David Hurst Thomas. Washington, D.C.: Smithsonian, 1990. Mitchem, Jeffrey W., Brent R. Weisman et al. “Preliminary Report in Excavations at the Tatham Mound (8-Ci-203). ” Florida State Museum Miscellaneous Project Report. Series 23 (1985). Mora, Carmen de. Introduction, Inca Garcilaso de la Vega, La Florida del Inca. Madrid: Alianza, 1988. 19-81. __________ . “El discurso sobre la majujer indígena en La Florida del Inca Garcilaso. In Espacio geográfico. Espacio imaginario,. Cáceres: Universidad de Extremadura, 1993. 165-74. Morelli, Keith. “Graham Dedicates De Soto Marker.” Ocala Star Ledger (4 May 1985). Ortega, Julio. “El Inca Garcilaso y el discurso de la cultura.” Revista Iberoamericana 44:104-05 (1978): 507-13. Pupo-Walker, Enrique. Historia, creacion y profecía en los textos del Inca Garcilaso de la Vega. Madrid: José Porrúa Turanzas, 1982. Quesada, Aurelio Miró. “Creación y Elaboración de La Florida del Inca.” Cuadernos Americanos 18 Nueva Epoca 3:6 (Nov.-Dec. 1989): 152-71. Rabasa, José. Writing Violence on the Northern Frontier: The Historiography of Sixteenth-Century New Mexico and Florida and the Legacy of Conquest. Durham: Duke U P, 2000. Rodríguez-Vecchini, Hugo. “Don Quijote y La Florida del Inca,” Revista Iberoamericana 48 (1982): 587-620. Saénz de Santa Maria, P. Carmelo. Obras Completas del Inca Garcilso de la Vega. Madrid: Biblioteca de Autores Españoles, 1965. Steigman, Jonathan D. La Florida del Inca and the Struggle for Social Equality in Colonial Spanish America. Tuscaloosa: U Alabama P, 2005. Turner, Amy Bushnell. “A Requiem for Lesser Conquerors: Honor and Oblivion on a Maritime Periphery.” In Chang-Rodriguez (ed. )., Beyond Books and Borders. Varner, John Grier. El Inca: The Life and Times of Garcilaso de la Vega. Austin: U Texas P, 1968. Weisman, Brent. “The Cove of the Withlacoochee: A First Look at the Archeology of an Interior Florida Wetland.” 39:2 (March-June 1986): 4-24. Wey-Gómez, Nicolás. “ʖDonde está Garcilaso? La oscilación del sujeto colonial en la formación de un discurso transcultural.” Revista de Crítica Latinoamericana 17:34 (1991): 7-31. Wilkens, George. “Graham Dedicates route followed in 1539.” The Citrus Tribune (4 May 1985). Williams, Lindsey. “A Charlotte Harbor Perspective on De Soto’s Landing Site.” Florida Anthropologist 47:3 (Sept. 1989): 280-94. Zamora, Margarita. Authority, and Indigenous Hisotry in the Commentarios reales de los Incas. New York: Cambridge U P, 1988.